Department of Mechanical Engineering, Tsinghua University, Beijing, 100084, P.R. China. Static stiffness is an important indicator of the performance of a rolling guide, having direct influence on the stiffness and precision of computer numerically controlled (CNC) machine tools. After preloading the rolling guide, an outward elastic deformation is generated at the carriage skirt, which leads to a decrease in the static stiffness of the rolling guide. Therefore, there would be relatively large errors between the numerical results and the experimental results when the carriage is considered as a rigid body. 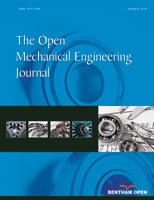 In this paper, an analytical method for estimating the vertical stiffness of rolling guide was proposed, which took into account the elastic deformation in the carriage skirt. The contact elastic deformation model under loads was given using Hertz’s contact theory, from which the numerical results for the vertical stiffness of the surface of the rolling guide was calculated when the elastic deformation in the carriage skirt was ignored. The calculation method for the carriage skirt deformation was given using the finite element method, from which the numerical relationship between the deformation and the contact force was obtained after fitting adjustment. An analytical model was therefore established and took into account the elastic contact deformation and the carriage skirt deformation, and a universal calculation method was proposed for vertical stiffness. Experimental results show that compared to those not involving the deformation, the numerical results for vertical stiffness involving the carriage skirt deformation matched more closely with the experimental results, with relative errors no greater than 6.5%.